based on the Pokémon franchise and scheduled to be released on May 10, 2019. Directed by Rob Letterman the movie stars Ryan Reynolds as the voice of Detective Pikachu Justice Smith as Tim Goodman, a young man looking for his missing father. According to the official synopsis, The story begins when Tim’s father goes mysteriously missing, and the son tries to find out what happened. Aiding in the investigation is Harry’s former Pokémon partner, Detective Pikachu. 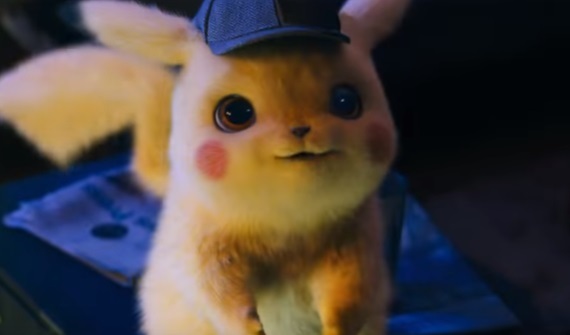 Pokémon: Detective Pikachu also stars Justice Smith as Tim; Kathryn Newton as Lucy, a junior reporter following her first big story, and Oscar nominee Ken Watanabe as Lt. Yoshida. The song playing in the trailer is “Happy Together” by American rock band The Turtles from their third studio album Happy Together (1967).